Ian Macleod Distillers, has today announced that it will be launching a new limited-edition Tamdhu single malt whisky expression, at this year’s Spirit of Speyside Whisky Festival (May 3rd - 7th). 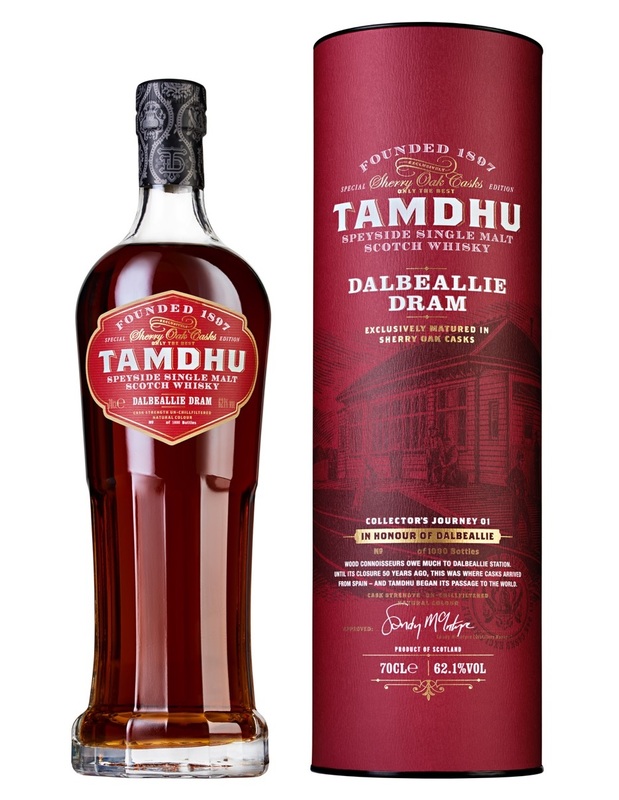 Tamdhu Dalbeallie Dram (62.1% ABV) has been matured exclusively in Oloroso sherry casks from Jerez in Southern Spain. This latest release honours Dalbeallie train station, and the part the Victorian railway played in transporting Tamdhu’s sherry oak casks from Spain. The station which sits next to the Tamdhu distillery is a listed building and has been restored over the years to its full splendour – including a ticket office, waiting room and signal box. With finishing touches recently installed, it will host events and tastings at this year’s Spirit of Speyside Festival. Limited to 1,000 individually numbered bottles, Tamdhu Dalbeallie Dram, is said to deliver notes of blackcurrant jam, mint tea and Bakewell tart on the nose, followed by notes of sherry oak, cream soda, orange and nutmeg on the palate. Further limited edition Dalbeallie Dram bottlings, as part of a new Collectors Journey series, are planned for release annually at each Spirit of Speyside Whisky Festival. Earlier this week, Tamdhu announced the launch of a new 120th Anniversary Distillery Team Edition, single cask bottling.